Getting Canada moving on fighting climate change was the focus for over 70 people who came out for the NelsonTeach In. Mar. 6, 2016 8:00 a.m.
Over 70 people showed up to learn more and to take action on climate change by lobbying federal and provincial leaders in advance of the first ministers meeting on climate last week in Vancouver. “We can let them know we want real cuts to emissions this time,” said Keith Wiley, one of the organizers, about theFirst Ministers’ meeting on climate now underway in Vancouver. Postcards, letters and email addresses of first ministers and environment ministers were passed out at the meeting so participants could put pressure on for progress at the Vancouver meet up. Prime Minister Justin Trudeau called the meeting within 90 days of the Paris Climate Summit to discuss how Canada will meet its commitments to reduce greenhouse gas emissions. “This is a crucial time to let them know Canadians want real action on confronting this global issue,” said LauraSacks from Citizens Climate Lobby, who emceed the TeachIn. At the TeachIn, Mike Geisler talked about BC’s commitments and ongoing consultation on the province’s climate policy. “Ultimately, BC policy will have to correspond as well to the measures coming out of the Vancouver meeting,” he said. 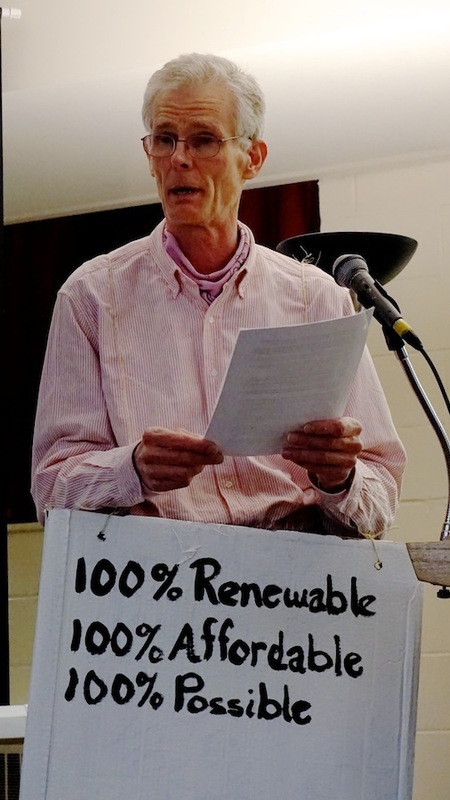 United Church Minister David Boyd discussed the moral imperative of change, and the new enlightenment of living in harmony with the planet and our environment rather than merely exploiting it. L.V. Rogers student Gillian Wiley told the TeachIn about the Leap Day sit-in that high school students held to show support for the Leap Manifesto. The manifesto is the plan for changes to beat climate change that was issued last year by author Naomi Klein and a number of prominent Canadians, includingDavid Suzuki and Maude Barlow. Rob Macrae, a Selkirk College instructor (pictured above), brought his “message box” to reiterate that moving to renewable energy is necessary, cheaper and can be a major engine for jobs in our economy.